Bowl / tray made of Corian® with a rim of silver-plated brass has been presented at the MAISON et OBJECT fair in Paris this January and, with a great success, also at DESIGNBLOK 2011 in superstudio Futurama. 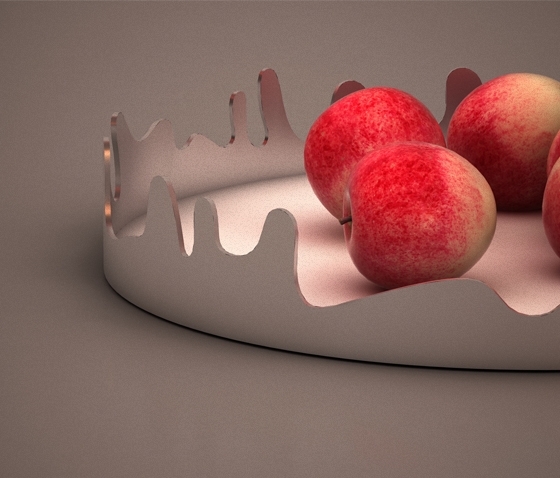 This luxurious piece of extraordinary design permits double use - as a cake tray or, from the other side, as a fruit bowl. 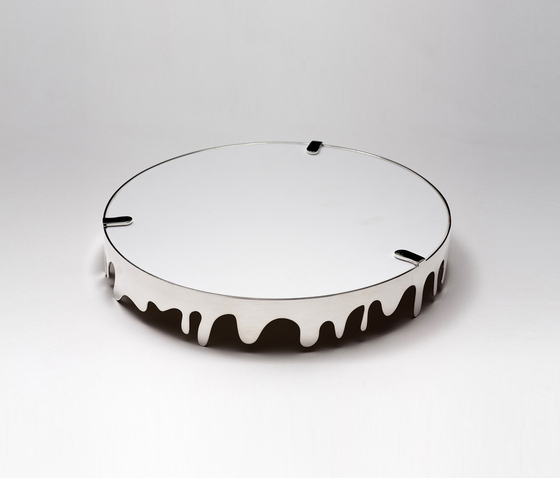 Hotcake is manufactured by AMOSDESIGN in two sizes.